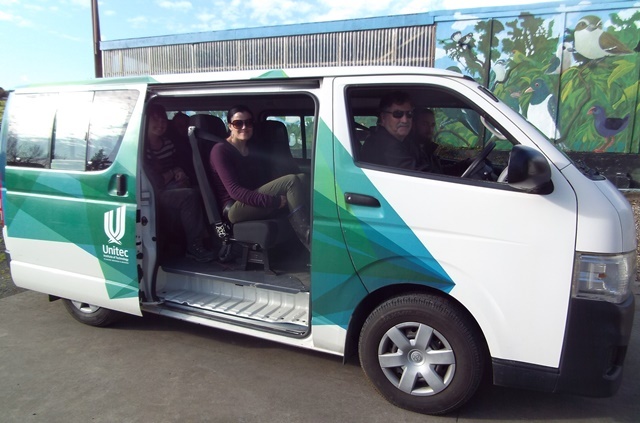 Unitec is an Auckland-based institute of technology with a dual commitment to post-graduate and degree level study as well as vocational education and training. 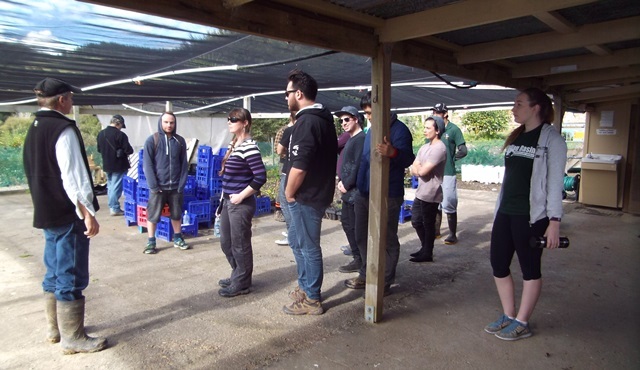 CUE Haven has a great relationship with Unitec and it all started in 2010 when our good friend Mel Galbraith, a Senior Lecturer in Ecology at Unitec, brought his final year students to CUE Haven for a field trip. Since then Mel has brought a class of new students out each year so students get a chance to observe a restoration project in process. Because we have been planting since 2008, they can readily see different stages in the regeneration process and learn about the issues and challenges associated with each phase of the work. 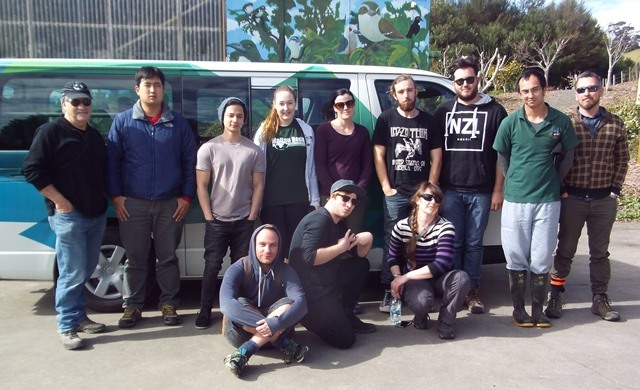 Joining Mel were Dr. Dan Blanchon, Unitec Head of Environmental and Animal Science, who has also regularly accompanied Mel and the students for these field trips and students Chelsee, Chloe, Craig, Daniel, Eduardo, Elise, Marley, Richard, Sam and Thomas. 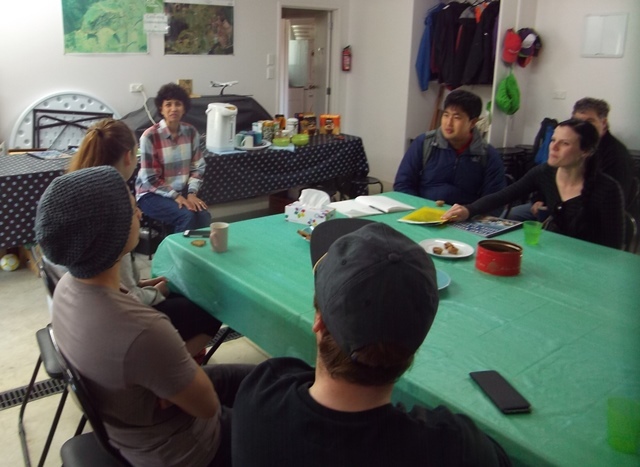 The group arrived shortly after noon and we spent some time getting acquainted over tea. Mahrukh gave an overview of the CUE Haven project and explained the objectives of our restoration work and the planting process. 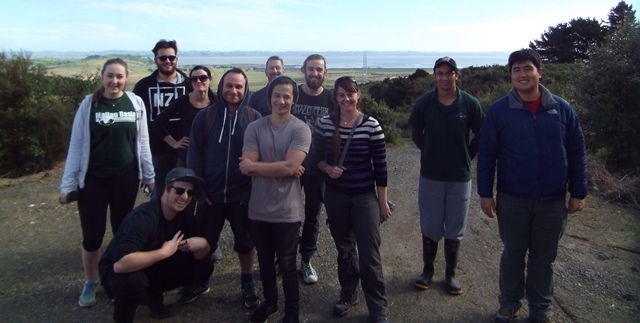 Thomas then gave a safety briefing and we took the Unitec team for a walk around the property. 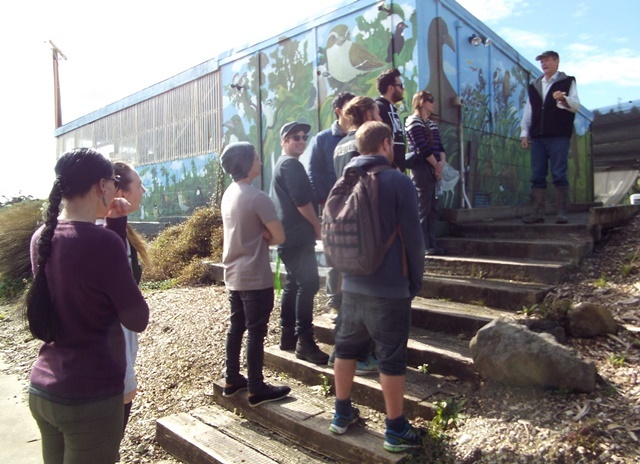 We started the tour in the nursery and explained how we converted the disused milking shed into the plant nursery. We then continued the walk, first visiting the wetlands where the students had a chance to see some of the features and challenges of the wetland planting area. As we walked along, Thomas pointed out various features and aspects of the restoration work. We discussed weed and pest control and the positive effect that pest management has had on native bird and animal life. We visited the area where we had a slip last year and discussed the causes of the slip and the effect of the remedial steps we have taken since then. We carried on almost to the top of the property with frequent stops along the way to observe various aspects of the regenerating bush. 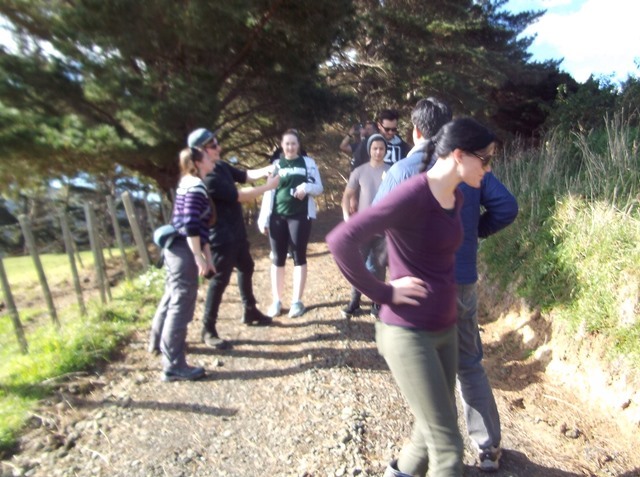 We finished up the walk and after a debriefing at the cottage, the group headed back to town. As always, we had a very enjoyable visit. We learn a lot from these visits and are always impressed with the enthusiasm and varied interests and knowledge of the Unitec students and staff. Our many thanks to Mel and Dan for their continued support and for organising the visit. And also a big thank you to the students for their enthusiasm and interest in the project. It was a pleasure meeting all of you and we wish you all the very best in your endeavours and we hope you will all come back to visit us again soon!